Barcelona’s Multiverse is a term based on the possibility of another Barcelona in a universe not visible from ours. With the title of the book in English Barcelona’s Multiverse, the author Lluís Bussé (Barcelona, 1961) takes the photomontages of various emblematic locations of Barcelona, with the intention of showing the existence of another Barcelona whose laws and physical constants would be similar to ours. It is based on the theories of theoretical physicist, Max Tegmark (MIT) in the Multiverse Level I. The exhibition of photographs from the book is exposed today in the Palau Robert in Barcelona (from 21 June to 11 September 2012). 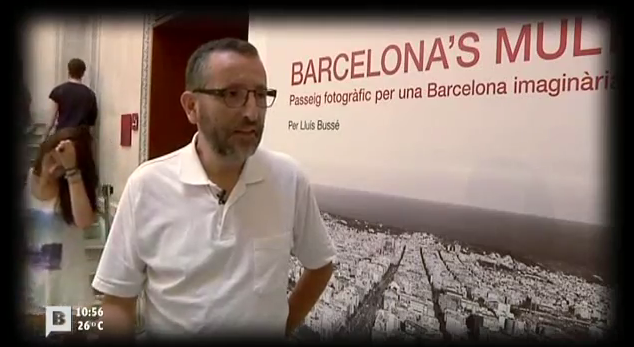 L’artista Lluís Bussé ens proposa una Barcelona sorprenent i imaginària en una exposició fotogràfica al Palau Robert. Una ciutat inventada que trobareu a Barcelona’s Multiverse.